This is a complex yet elegant wine. The oaking is perfectly balanced with intense fruit flavors and notes of buttered toast. The mid palate is rich and mouth filling. This wine displays an intense deep straw colour. The nose displays stunning complexity with fruit notes of ripe quince, passion fruit, and baked apples, there are hints of lemongrass, toasted almonds, and freshly baked brioche. The wine enters the palate full and rich reminiscent of the aromas on the noose. The wine finishes with amazing clarity and depth with a slight grip just lingering. This wine drinks exceptionally well now but will continue to develop and improve through till 2025. The grapes were de-stemmed and crushed and pressed immediately in our inert press. The press juice and free run juice were kept separate and settled overnight before the clean juice was racked off. Only the free run juice from the best blocks. The juice was then inoculated and sent to barrel for fermentation. 400L barrels for the Sauvignon blanc and 225 L for the Semillon. All the barrels used were French oak of which around 27 % was new. After fermentation, the barrels were topped and left on the lees for 9 months with regular lees stirring. The wine was blended in November, stabilized, filtered and bottled soon after. The wine spent a total of 9 months in barrel. 11,000 bottles were produced. The TOKARA farm was purchased in 1994 by GT Ferreira for residential purposes, but it wasn’t long before the great potential for planting vineyards was recognized and explored. Classic varietals were planted on the 400m above sea-level slopes. 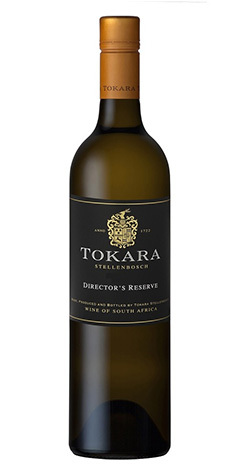 The cool air and low temperatures contribute to the excellent quality of TOKARA Wines. TOKARA is a picture-perfect destination which offers visitors a unique combination of award-winning wines, brandy and olive oils, a gallery of fine art, a restaurant featuring one of South Africa’s leading chefs as well as a delicatessen. The winery, on the R310 outside Stellenbosch, is nestled among vineyards and olive groves on the crest of the Helshoogte Pass with sweeping views across False Bay and all the way to Table Mountain.